Sony a5 to be Announced Next ? According to PhotoRumors, a new teaser talking about that Sony will soon announce a new full frame interchangeable lens camera. 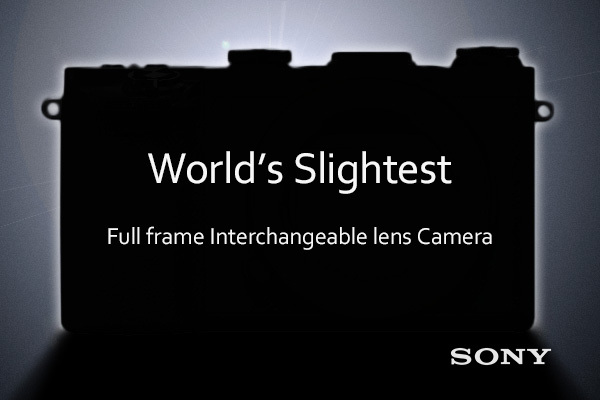 This teaser is from Chinese website, and the name of this new camera could be named Sony Alpha a5. The teaser says that Sony Alpha a5 will be world’s slightest full frame interchangeable lens camera, didn’t said whether Sony a5 will be a mirrorless camera, but according to previous models, Sony a5 will most likely a full frame mirrorless camera.